Cara Ameer is an award winning Broker Associate, REALTOR®, luxury agent, media contributor and speaker based out of Ponte Vedra in Northeast Florida. Cara brings over ten years of professional experience with the United States Senate, American Bar Association and in-house legal departments to every real estate transaction. Cara has regularly achieved top producer status as a listing and selling agent and has earned numerous awards receiving recognition both locally and nationally, including being named a Coldwell Banker Presidential Premier Associate. She has consistently been ranked among the top ten percent of agents with in Coldwell Banker Vanguard for her production year after year. Cara has regularly earned the FIVE STAR REAL ESTATE AGENT designation by Jacksonville Magazine for Best in Client Satisfaction. She holds a Florida real estate broker's license and earned the Coldwell Banker PREVIEWS designation for working with luxury buyers and sellers. She also holds the Cartus Network Buyer Specialist, Cartus Marketing Specialist and Cartus Referral Specialist certifications for work with the relocation buyers and sellers. Cara is a designated representative of the SportStar Relocation Network (SSRN), an exclusive group of real estate professionals dedicated to assisting professional athletes, sports executives and coaches with their relocation and housing needs. Cara is an industry leader on incorporating the use of video to tell a property's compelling story. Cara's channel on YouTube, called Real Estate TV is dedicated to real estate programming on a variety of topics as well as featured property videos and commercials. Cara serves as a contributor for local media outlets including The Morning Show on WJXT, Channel 4 covering current real estate topics, trends of interest and feature pieces. She is frequently interviewed by national media and has been quoted in articles for AOL Real Estate, CBS Moneywatch.com, CNN Money, Fox Business, Money Magazine, MSN Real Estate, Realtor.com, Trulia along with many others. She is also a contributor for Coldwell Banker's national blog, Blue Matter and Inman News. She was also a speaker at Coldwell Banker's national conferences in New York City, Chicago, Coldwell Banker King Thomspon/West Shell's Presidential Elite Retreat and Inman Connect in San Francisco. Latest news, video, articles and more. 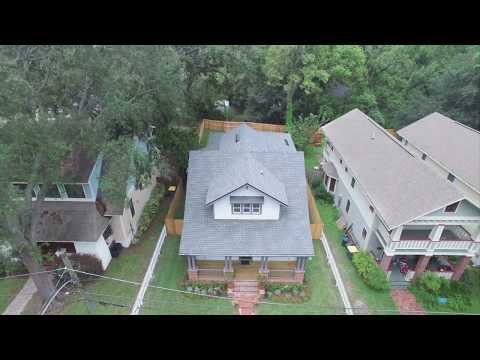 Welcome to Craftsman Charm in the heart of Avondale! "A fantastic experience start to finish. We got in contact with Cara while still in living in Japan and she immediately started looking for and sending us potential homes to view upon arrival in Jacksonville. The day after we arrived, we were out looking at homes and Cara quickly picked up on our likes and dislikes and tailored future property showings to our desires. A great experience with Coldwell Banker once again! "We were very happy with the service provided by our Realtor, Cara Ameer with Coldwell Banker Vanguard Realty. Cara Ameer did a great job working with us through the entire process.\"
"Thank you for helping us find our first home. You were great during the entire thing! You definitely made the process easier on us!\"
"Cara Ameer worked with us for over a year to find our retirement home in Fl. She was very professional, accessible, and knowledgeable about the real estate market in the area we were looking in.\"
"Cara is an extraordinary agent. She is knowledgeable, very hard working and stays on top of everything. With a short sale we had some extra challenges - and Cara rose to meet those challenges at all times of the day and night. She is level headed, enthusiastic, and a very nice person to top it all off. Can\'t say enough good things about her.\"
"I was 100% satisfied with Cara Ameer\'s service and have already recommend her to others. My home purchase was suprisingly seamless and easy.\"
Ask Cara how she can help with your real estate needs. Cara Ameer is available as a media contributor and speaker on a variety of real estate topics. And of course, if you are interested in buying or selling, she can help you navigate through the buying or selling process to achieve the best possible results in the most expeditious manner.